If you are meeting as a group to discuss The Master of Monterey, the following questions may give you ways to start the conversation. They may lead you to ways of developing your ideas about the book and the broader themes the book brings up. But they shouldn’t be seen as limiting discussion. It is hoped that every reader finds something unique and valuable in The Master of Monterey. Commodore Jones chooses to dedicate his life and deeds to the memory of Louisa Darling. What does it signify that Louisa Darling is not the paragon of virtue that the commodore thinks she is? How do the commodore’s thoughts contrast with Hannibal’s thoughts? As a young boy, Captain Rafael Rafael is told that the only place he’ll be at peace is a place he remembered in the past to which he could not return, or a place he dreamed about where he could never arrive. How does the voyage to California enact his desire to arrive at such a place? William Waxdeck becomes the official scribe of the voyage, although he is never able to go on deck to see what he’s describing. What is implied about the relationship between history, truth, and writing in his project? Why does Hannibal feel compelled to contest Waxdeck’s narrative with his one of his own? What does it signify that Hannibal gives up his own writing at the end? Arcadia Serrano has two mentor figures: her governess, Duenna Recta, and her servant Magda. How do these two mentors contrast with each other? What does Arcadia seek that is not fulfilled by either one? Why is Don Ignacio’s proposal so inadequate to her dreams of herself? How would you describe Ignacio Castro’s relationship to the natural world of California? How does that influence his relationship with his children? How does that influence his desire to marry Arcadia? And how does Arcadia’s relationship with the natural world contrast with Don Ignacio’s? The Storekeeper Keyes enters into a complex commercial relationship with Mister Lurkin. Why does he think he represents the noblest aspirations of the voyage? Chips, the Carpenter, is the only one who notices that the ship is leaking. Why is everyone else blind to that fact? What does he use to plug the leak? When William Waxdeck is composing the commodore’s speech, several people approach him with notions of what the commodore should say, and hence what the conquest of California should mean. What do the various people suggest, and how do their suggestions reveal their characters? What becomes of the speech as a result of their suggestions? What becomes of the speech as it is delivered? Jimmy Bush is treated as a scapegoat throughout much of the novel. What is he a scapegoat for, what collective sin is he bearing? How does his journey on horseback contrast with Commodore Jones’s journey? In what ways do the Native Californians understand him? Does he escape from his role as scapegoat? Mister Lurkin plays several important roles in the novel, as translator, trader, clergyman, smuggler, and guide. How does he help or hinder the other characters? What are his own goals in all his actions? When Commodore Jones enters the abandoned sweat lodge of the Esselen, he encounters an underworld populated by figures from the past, who can be identified as Daniel Boone, Coronado, and Cortez. How do the lives of these three figures compare and contrast with the life of Commodore Jones? In what ways are their ambitions similar to or distinct from his own ambitions? Upon emerging from the sweat lodge, why does he choose to renounce his conquest of California? Nearly all the characters, at one time or another, believe themselves to be the Master of Monterey. What is the strength of their various claims? What flaws can be seen in each of their claims? 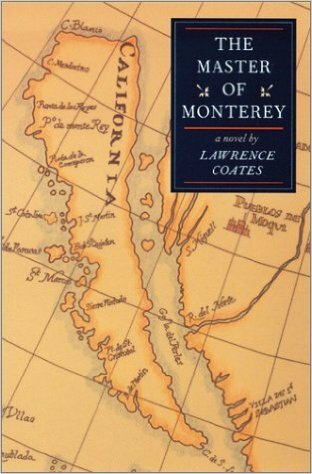 Is there a real Master of Monterey? The ship’s name in the novel is The National Intention. Historically, the ship commanded by Commodore Jones was named The United States. Why did the author change the ship’s name? What is signified by the name The National Intention? The Master of Monterey is based on a real historical incident, yet it is told in a manner that can be called magical realism. How does the use of magical realism change the otherwise straightforward and accurate story being told? Are magical realism and historical fiction in direct contrast with each other, or do they complement each other? In the epilogue, the author makes clear that California was returned to Mexico for only a brief period. Four years later, the Mexican-American war broke out, and California became part of the territory of the United States. The author also discusses the ultimate fate of various characters. How do their subsequent lives compare with the dreams and aspirations they expressed during the course of the novel?